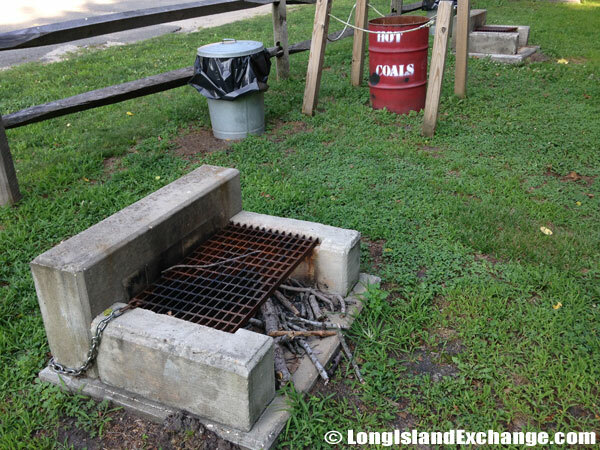 Directions: The Nissequogue River State Park is located in Kings Park, New York on the banks and bluffs of the Nissequogue River, on the North Shore of Long Island, New York. 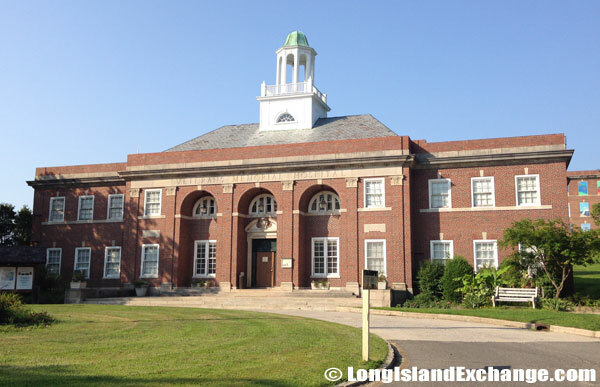 It is in the Sunken Meadow Parkway North to SM4. Head east on Pulaski (which changes into Old Dock Rd.) At the 5th traffic light make a right onto St. Johnland Rd. Park entrance is about 1/2 mile on the left. 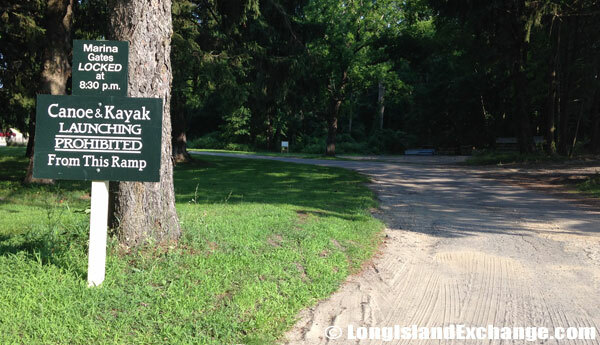 Contact Information:Nissequogue River State Park, 799 Saint Johnland Road, P.O. Box 639, Kings Park, NY 11754. Phone: (631) 269-4927 Vehicle Entrance Fee: Cars $8 Non-Profit Buses (By permit only) $35 Commercial Buses $75 – Collection Times: May 25 – September 2: 8am-4pm, daily September 7 – October: 8am-4pm, weekends & holidays. 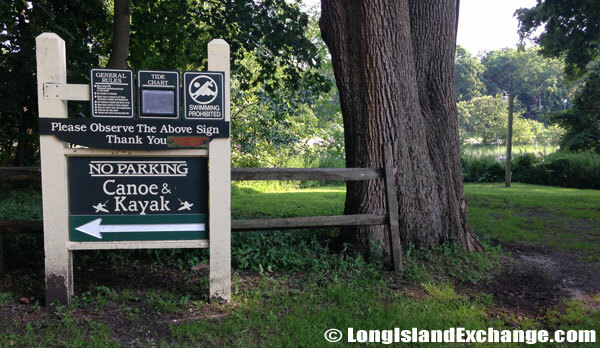 A sign welcomes visitors to Nissequogue River State Park , the North Shores hidden treasure. A booth collects the vehicle entrance fee of eight dollars per car. 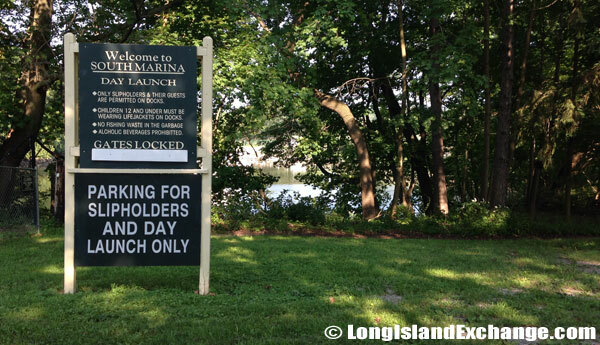 The South Marina Boat slips are for recreational boating only and boats must be registered to the slip holder. No personal watercraft is permitted. 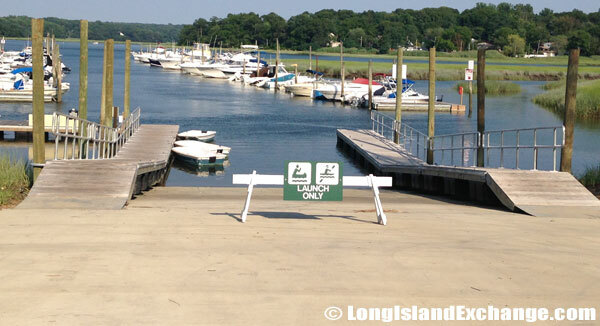 Boat slips are for recreational boating only and boats must be registered to the slip holder. No personal watercraft is permitted. Overview: There is variety of habitats in the park including tidal and fresh water wetlands and hardwood forests provide habitat to a variety of shore birds, reptiles and amphibians. One of their section has been designated a State Bird Conservation Area. The park has bluffs to challenge rock climbers, stretches with the incline of a billiard green and courses in-between. 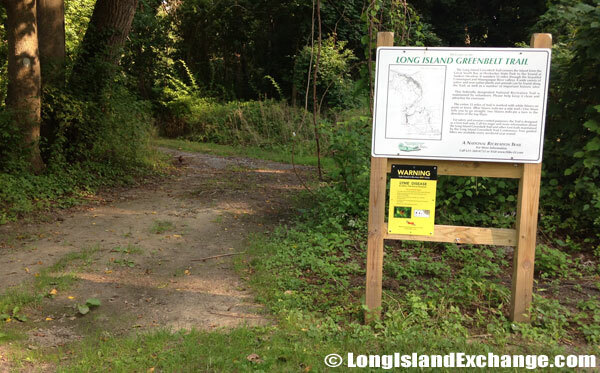 The Long Island Greenbelt Trail, for walking and hiking, parallels the Nissequogue River and provides scenic views of the river and the Long Island Sound. The South Marina Boat slip. Recreational boats await their next journey in the South Marina. Building 125, from the old Kings Park Psychiatric Center was used as the Veterans Administration Building until it was renovated sometime after 2006 and is now reused as the park office. The terrain suits bicycles and horses as well as it does shoes and feet, and everyone can trek for hours without the slightest risk of encountering another human. 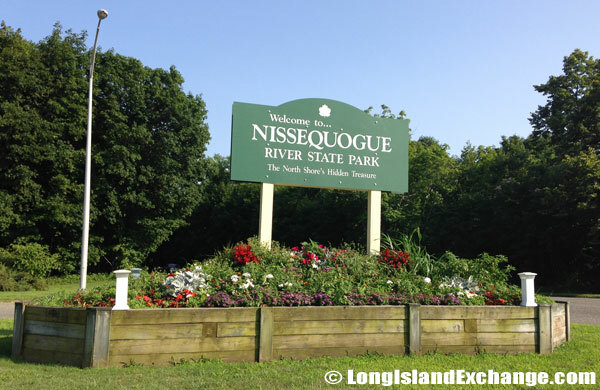 The Nissequogue River State Park also has a soccer field, a canoe and kayak launch, fishing, bird watching, interpretive signs, guided tours and group tours by reservation, plus a conference room which can be rented. 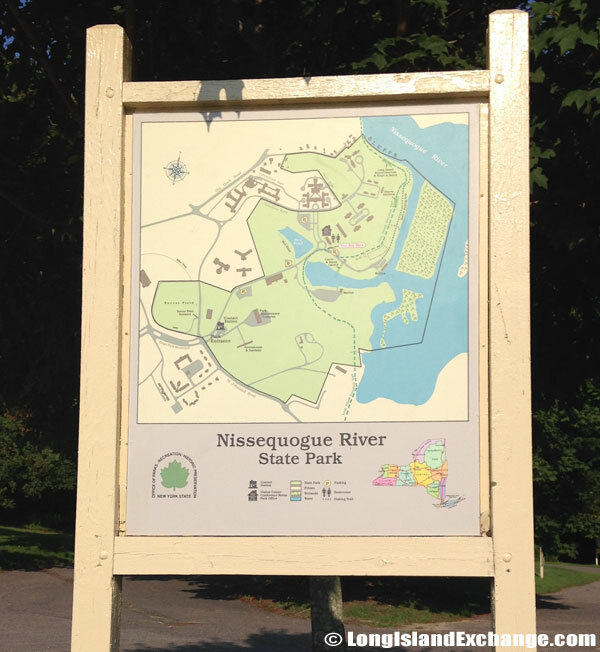 A map of Nissequogue River State Park. A section of the park has been designated a State Bird Conservation Area. 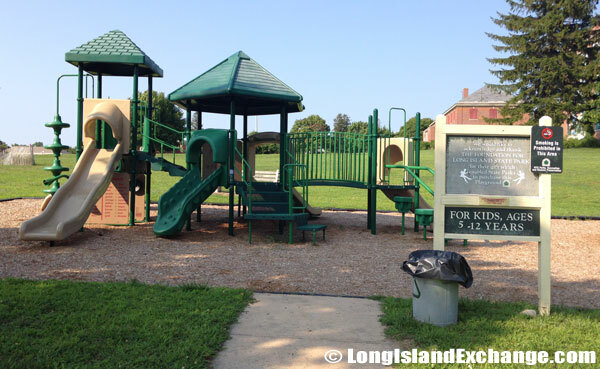 A playground for children 5-12 at Nissequogue River State Park. 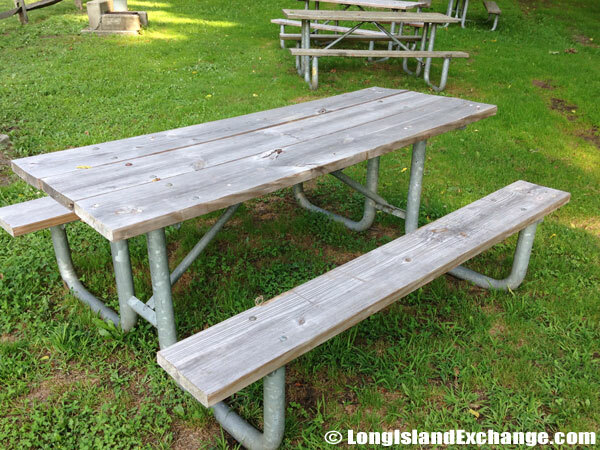 One of fifteen condemned and vacant structures of the former Kings Park Psychiatric Center sits beyond these picnic tables at Nissequogue River State Park. 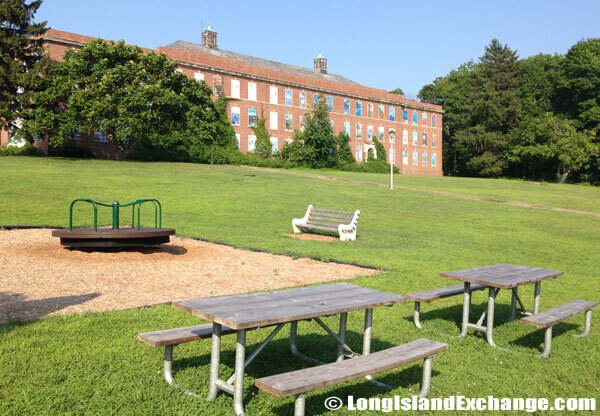 You may find it hard to believe in the primordial ambiance of the Park, but this 150-acre former estate of a Psychiatric Center is New York’s newest addition to a list of protected areas for people to enjoy the original outdoors. It is also an important part of the State effort to protect avian life. Guided tours help novices learn the essentials of Biology and Ecology in a most absorbing way. More than 20 kinds of trees, scores of shrub and vine species join herbs to fill medicine and kitchen cabinets and a vast exposition of animal wildlife. 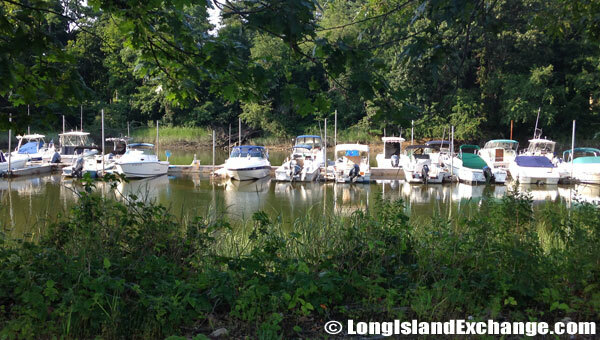 The Nissequogue River State Park is a gem in the Suffolk crown of natural wealth. An area for canoeing and kayaking on the Nissequogue River. 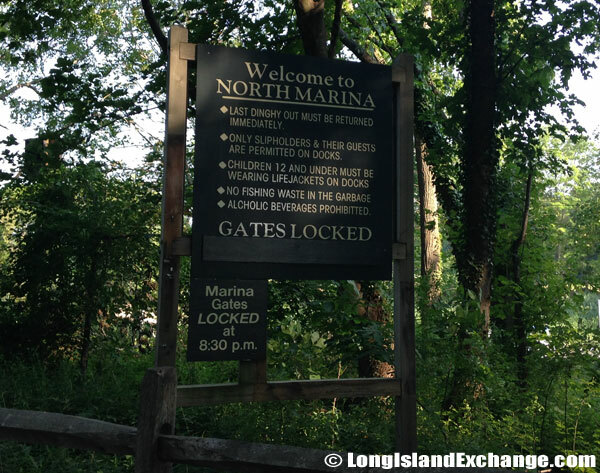 Marina gates lock for the North Marina at 8:30 PM. 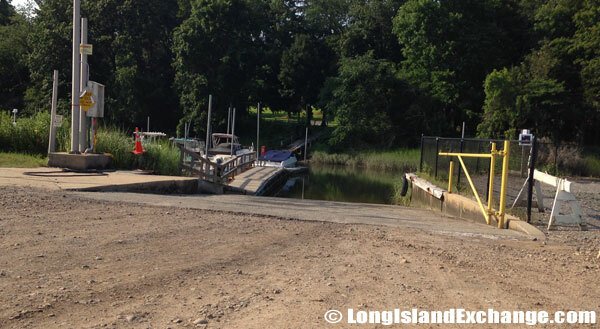 A boat launch at the North Marina. 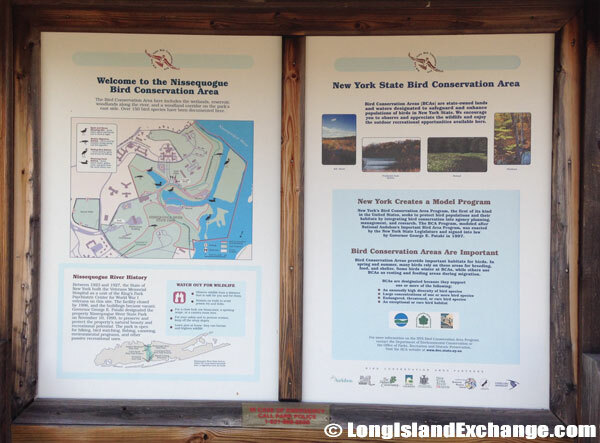 Facilities: birding (checklist of birds to be viewed available), kayak launch (rentals available, call in advance, 631-269-9261 or 631-979-8244), boat launch at marina, environmental programs (registration and fee required), cross-country skiing. All British Car Show (TBA). One of several picnic and BBQ spots near the North Marina. One of several picnic benches in the BBQ spot near the North Marina. Seasons/Hours: Park grounds are open year round from dawn to dusk. Events: Nature Hide-n-Seek, Salt Marsh Exploration, Family Evening Walk, and Family Nature Park (dates not set).